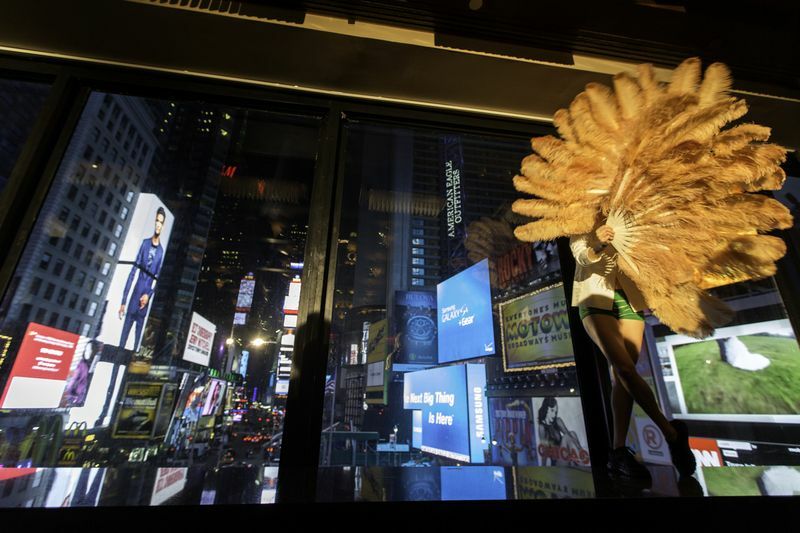 The first event of the Spring 2014 After Hours series, produced in collaboration with Times Square Arts, presents dancer and choreographer Biba Bell in a site-specific performance at the R Lounge, Renaissance Times Square Hotel, Plume, in which she engages the lounge's vaulted walls, broad windows, and dramatic views of Times Square into her choreographed piece. The sonic element of Plume features a live collaborative soundtrack by Robert Aiki Aubrey Lowe, composed to inform and react to the movement of the body. Listen to the live radio streamcast at 10pm EST New York time. Bell's work examines the presence of the body as object in its dual relationship with a surrounding space and the viewer's gaze. Her performance process pushes the bound structures of framing in artwork and reshuffles relational understanding. 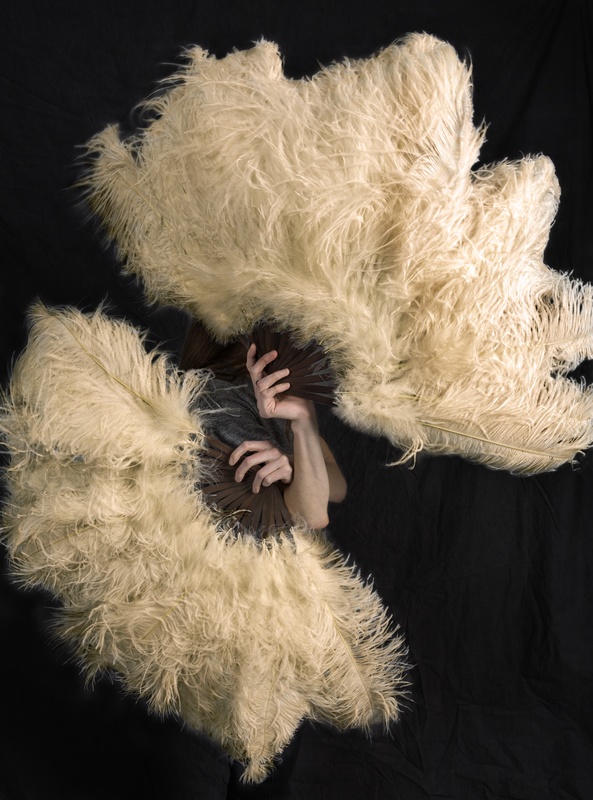 She is a founding member of the collaborative performance group MGM Grand (Modern Garage Movement) and has performed at such venues as the Kitchen and Dance Theater Workshop. Biba Bell (b. 1976, Sebastopol) lives and works in Detroit and NYC. Bell’s performance work has been shown at Visual Arts Center UT Austin, Insel Hombroich Germany, NADA Fair NYC, Detroit Institute of Art, The Garage for Contemporary Culture Moscow, Centre Pompidou Paris, The Kitchen NYC, Museum of Contemporary Art Detroit, PaceWildenstein Gallery, Jack Hanley Gallery, Callicoon Fine Arts amongst others. She spent years dancing all over the place in galleries, theaters, libraries, spas, gardens, garages, and homes as a founding member of MGM Grand (Modern Garage Movement) with Jmy James Kidd and Paige Martin. 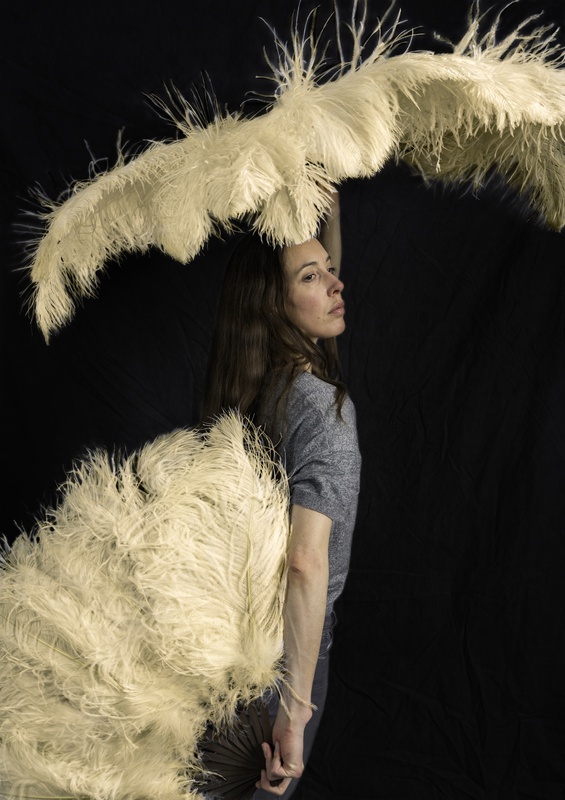 The New York Times noted her “thrilling dancing” as one of the highlights of 2011, writing “it’s invigorating to watch someone who borders on wild.” In addition, she dances internationally with choreographer Maria Hassabi. 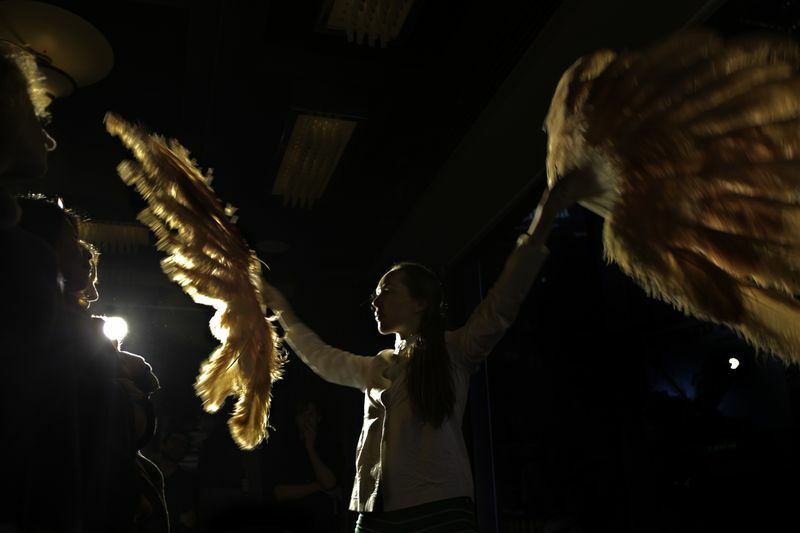 Bell writes about para-studio dance practice as a PhD candidate (ABD) in the department of Performance Studies at New York University, and is on faculty in the Maggie Allesee Department of Dance at Wayne State University in Detroit. Robert Aiki Aubrey Lowe is an artist and composer that works with spontaneous music and the voice, often under the moniker of Lichens. Lowe creates patch pieces using modular synthesizers and tonal vocal work with a focus on live performance and recordings. His interest lies in the physicality of sound, much in the way of ecstatic music. Lowe's sonic creations rely on the sensitivity of analogue modular systems to echo the organic nature of vocal expression, in order to create a trancelike state and usher in a deeper listening through sound and feeling. Biba Bell Performance at R Lounge. Photo by Carolina Sandretto. Beatrice Johnson sits down with dancer and choreographer Biba Bell and Times Square Alliance's Director of Public Art Sherry Dobbin in celebration of the first event of the Spring 2014 After Hours series produced in collaboration with Times Square Arts. 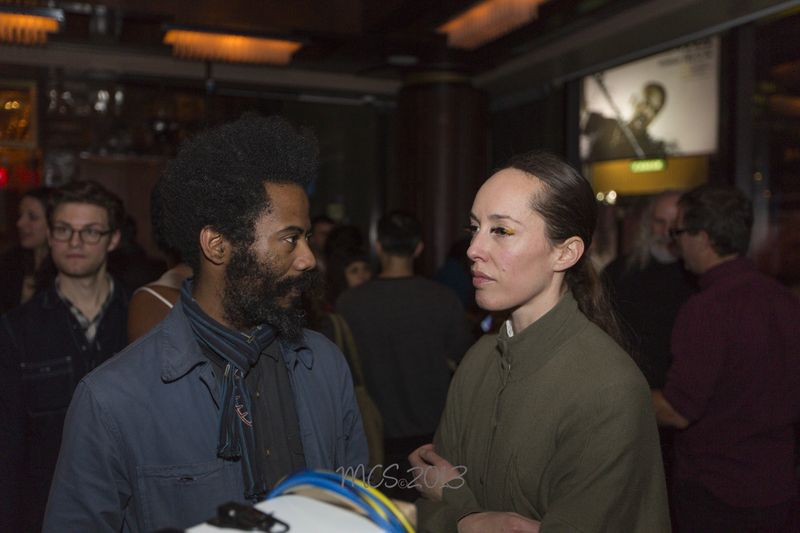 The trio discuss Bell's site-specific performance at the R Lounge, Plume in which she engages the lounge's vaulted walls, broad windows, and dramatic views of Times Square into her choreographed piece. Bell's work examines the presence of the body as object in its dual relationship with a surrounding space and the viewer's gaze. Her performance process pushes the bound structures of framing in artwork and reshuffles relational understanding. She is a founding member of the collaborative performance group MGM Grand (Modern Garage Movement) and has performed at such venues as the Kitchen and Dance Theater workshop. Plume takes place at R Lounge on Wed. 19 Feb. 2014, 10pm-12am. Limited seating. RSVP. A live score created for movement and modular synthesis by Robert Aiki Aubrey Lowe for Plume, a collaborative performance with modern dancer Biba Bell. 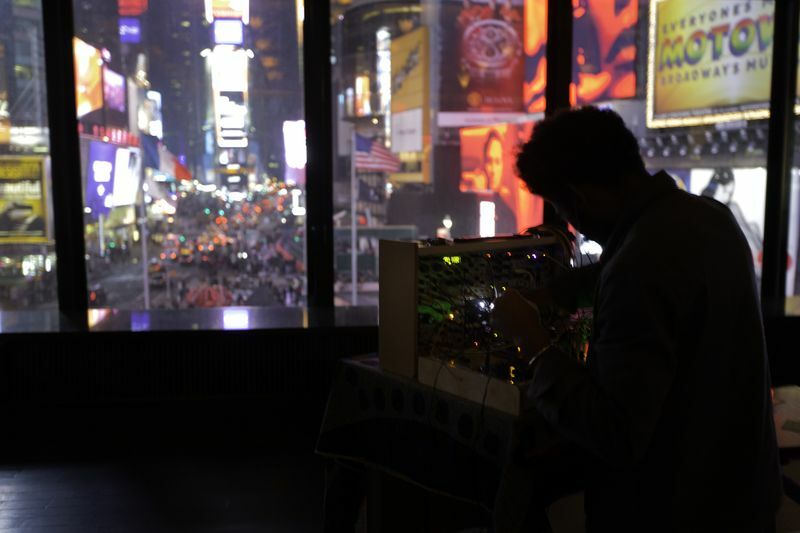 For this collaborative project, Lowe's modular synthesizer patch piece was built to act as a physical and gestural partner to the dance. 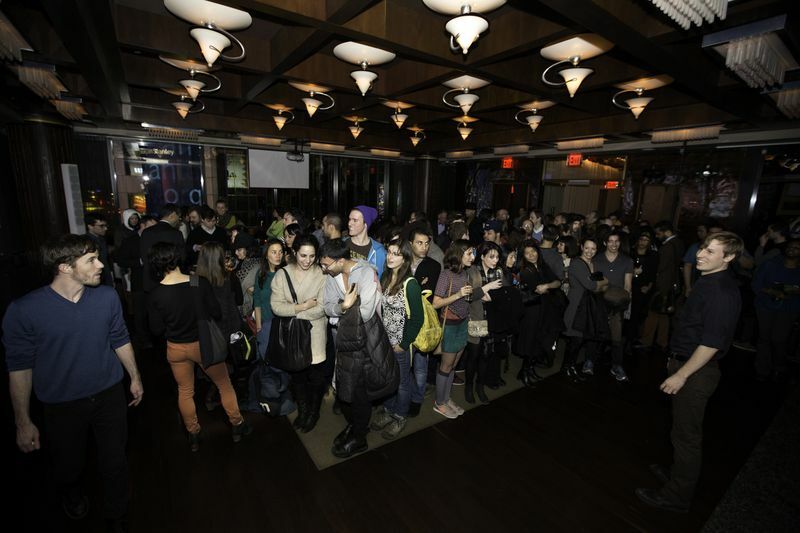 The event took place at the R Lounge in Times Square on February 19th, 2014. 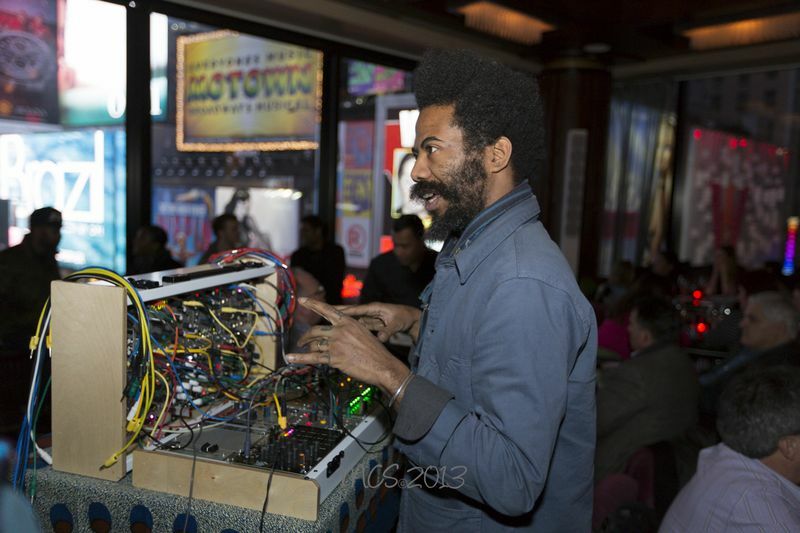 Robert Aiki Aubrey Lowe is an artist and composer that works with spontaneous music and voice, often under the moniker of Lichens. Lowe creates patch pieces using modular synthesizers and tonal vocal work with a focus on live performance and recordings. His interest lies in the physicality of sound, much in the way of ecstatic music. These sonic creations rely on the sensitivity of analogue modular systems to echo the organic nature of vocal expression, in order to create a trancelike state and usher in a deeper listening through sound and feeling.